This module requires a LiveMaster Mainframe unit to run. And the mainframe unit showed in the picture is sold separately. Based by MXR Dynacomp, it works as an automatic volume control to limit the dynamic range of the input signal, and its sensitivity control lets you achieve very subtle leveling and increased sustain. 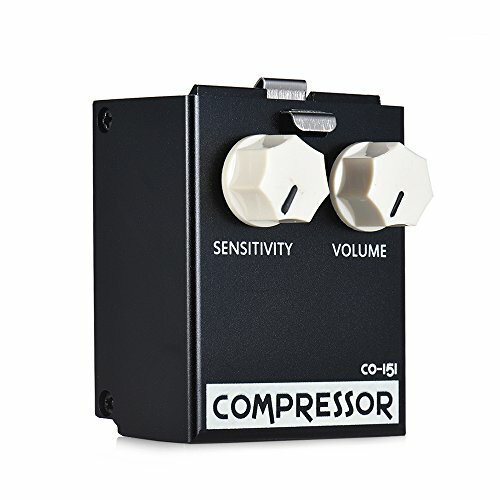 SENSITIVITY knob: to adjust how sensitive the compressor is(how much or how little it compresses the signal); VOLUME knob: to adjust the module's output volume. Special spring locking design makes it easy to install and remove the module from the mainframe unit, flexible and convenient to use. Metal touch points design greatly reduces the noise from pedal linked cables and maintains the line signal intensity at the same time.